Take a tour through this three-bedroom home design and you'll find an efficient layout with all the features for today's family. 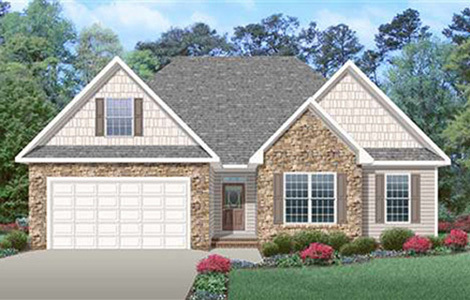 Beyond its handsome stone-accented exterior, the Beck includes these elements to recommend it: An elegant front entry, featuring a transom window, opens into the foyer. Beyond the foyer lies an open layout including the family room with a fireplace and access to the back porch; the dining room; and the kitchen with a handy half-wall counter and a pantry. 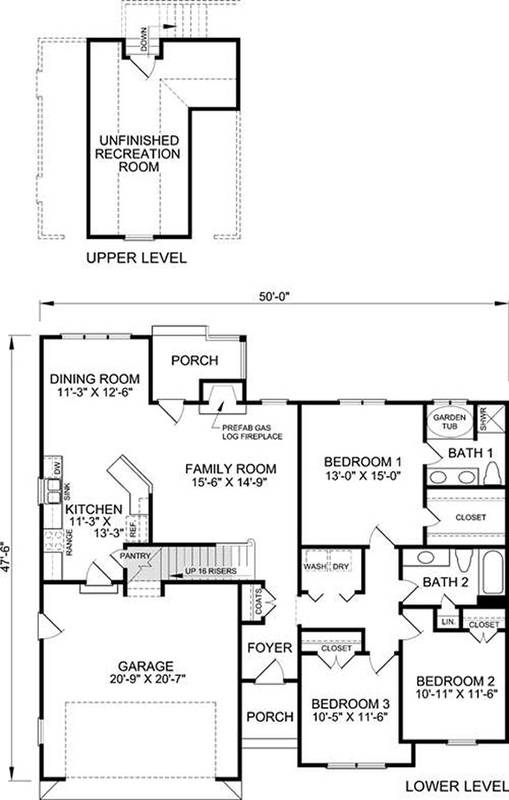 The master bedroom has a walk-in closet and a private full bath with a garden tub, separate shower, and double vanity. Bedrooms 2 and 3 have nearby access to a second full bath. A washer/dryer nook and a two-car garage complete the lower level. Upstairs, an unfinished recreation room lies above the garage.